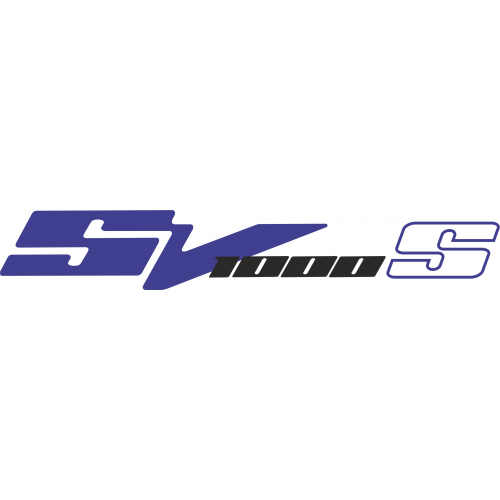 Replica logo for Suzuki SV1000s/SV1000 (pair). 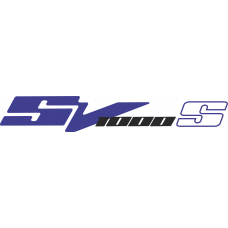 This replica decal features two colours; as per the original; please choose your main colour for the SV and the outlined S and a second colour for the 1000. You can choose to have both parts in the same colour (leave second colour choice blank), your decal will have a pinstripe gap between the elements to separate them. We cut this item to order from our stocked vinyl and assemble in house so you can just stick and ride! Length: 190mm - please contact us if you would like an alternative size. Nine (four per wheel plus spare) of cut vinyl Wheel stripe stickers in your choice of colour and fon.. Eight (four per wheel) of curved cut vinyl Wheel stickers in your choice of colour and font (use our..